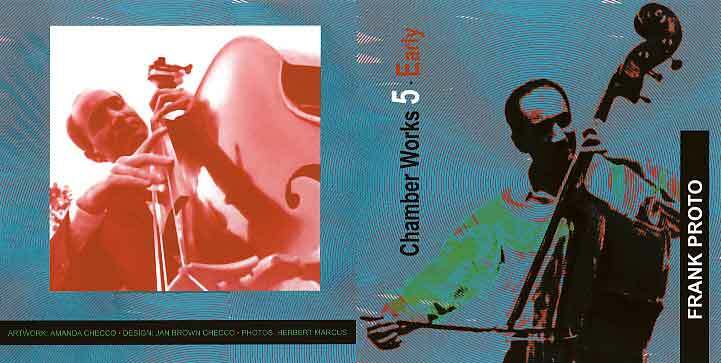 featuring new recordings of the earliest Chamber Music pieces. "Maybe you should just do one yourself," the impatient voice, belonging to the body that was searching through a hopelessly stuffed filing cabinet, bellowed at me. "Besides, it'll look great to have World Premiere printed in the program. How many times do you think they've seen that on a student recital?!" I stared at him and whined, "But Dave, the only original things I've ever done were for my group and . . ."
"Oh I can't find it. I must have lent it to one of the other boys," he interrupted with an air of frustration. Then continuing on as if it were all part of the same thought: "OK, so what's the big problem? Why not give it a try and see what happens? It'll do them good to hear something that they're not expecting. Get working on it and bring me something next week." And so ended one of those lessons that not only issued a new challenge, but also put me on a road that would significantly change the course of my life. Several weeks before that day in 1963 my double bass teacher, David Walter, suggested that I begin preparing a recital. I was due to graduate from the Manhattan School of Music the following year and he wanted me to be thinking of a program during the summer break. We had been discussing possible repertoire and had found some music that both of us liked: a baroque Sonata by Benetto Marcello, the Sonata for Double Bass and Piano by Czech composer Frantisek Hertl and the Electronic Study No. 2 with Contrabass by Charles Whittenberg. We needed one more piece to round out the program. I wanted an American piece that really sounded like it came from this country and both of us wanted something that was originally written for the bass; however, these were still the days where there was precious little American music of the kind we were looking for and after several months of searching I had come up empty-handed. It was at this point that David suggested that I try my hand at writing an original composition for myself. My own compositional experience at the time consisted of a couple of duets for basses, some tunes for a jazz trio that I worked with regularly (as a pianist) a book of experimental pieces for a 10 piece rehearsal band with which I occasionally annoyed my parents' tenants and neighbors at our house in Brooklyn, and a wide variety of arrangements for various bands, singers, dancers and comedians to use in their Catskill Mountains show appearances. I jumped in with both feet and within a few weeks, after some false starts, came up with Sonata 1963. The program was set! All I had to do now was find a pianist who would be willing to devote a fair bit of time learning Hertl's difficult piano part and an equal amount learning mine. I also had to get myself on a strict practicing schedule, something not so easy since I was working six nights a week from 10:00PM to 4:00AM. Little did I know that even though we had the program set there were some unseen obstacles looming in the road ahead that would soon have to be circumvented.